Much has been written and said about the impact of this machine when the house and techno scene emerged. True is, however, that you find the distinctive sounds from this machine on a great deal of recordings today. Originally released in the mid 80's this machine never got any initial success as the public demand craved for purely digital drums and it was discontinued after a brief period of time by Roland. Today it is one of the most sought-after machines on the market and people pay ridicolous amounts of $$ for them. Roland began producing preset drum machines as far back as 1972, with the introduction of the TR-33, TR-55 and TR-77. The TR-66, TR-330 and TR-700 followed over the next couple of years, but it wasn't until 1978 with the appearance of the CR-78 that you could actually program the patterns yourself. When the likes of Peter Gabriel and Phil Collins began using the CR-78, the drum machine's dinky image of the pub performer's pal was transformed into a that of a musical tool. By 1980 the TR-808 had appeared. Like many a long gone muso or artist, the TR-808 wasn't appreciated as much at the time as it is now. For the more budget-conscious, there was the TR-606 Drumatix, and its partner in rhythm, the TB-303 Bassline. Both came with a matching carrycase, and were no bigger than a cheap box of Milk Tray. Unlike the chocolates, if you stared at these machines for long enough, the mixture of red flashing lights, black legends and silver and chrome would begin to grate and nauseate. Programming with even the mildest hangover was for none but the brave. 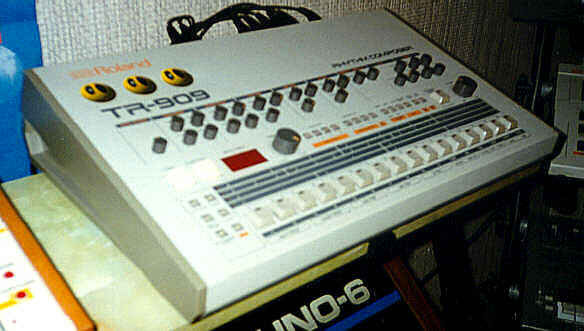 The biggest box of them all, the TR-909 made its debut in 1983, and was only in production for one year. Approximately 10,000 were made. By that time, drum machines such as the Linn LM-1 had stolen the TR-909's thunder, as the sounds were all from samples. Sampling fever eventually wiped out generating drum sounds with analogue technology. 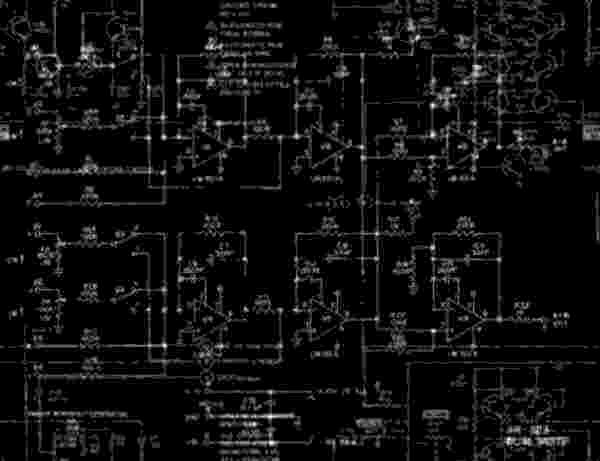 Looking back, we're wiser now, and the variety of sounds that analogue techniques create are the most sought-after for a contemporary musical palette. Anyone can sample a sound, but there's nothing like having a knob in your hand to play with. 2xMIDI, Tape Save/Sync out, Trig out coupled to rim shot sound +14V 20ms pulse, L/R Mix, 10x individual out. 48 patternsx2 banks, 4 tracks of max 896 measuresx2 banks.